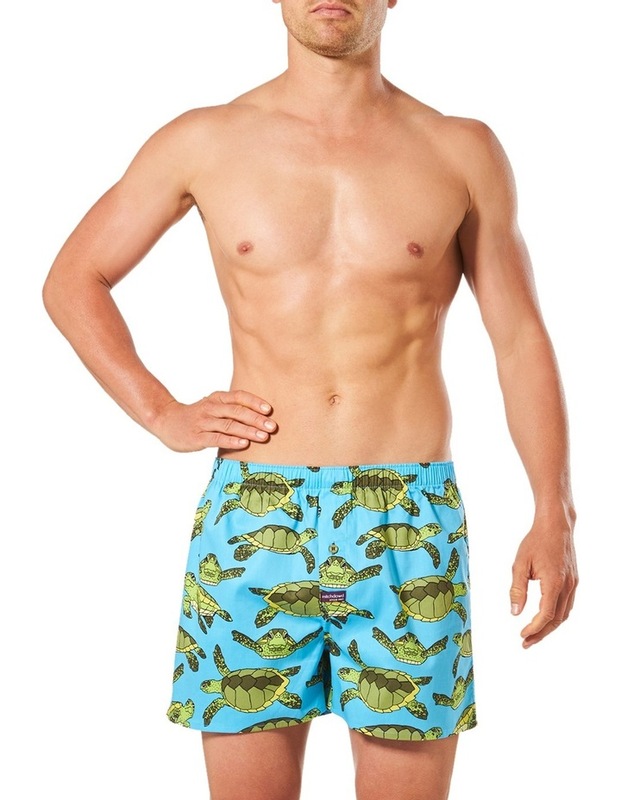 These unique mitch dowd men's reef turtles printed woven boxer shorts are created in our own fabulous design. 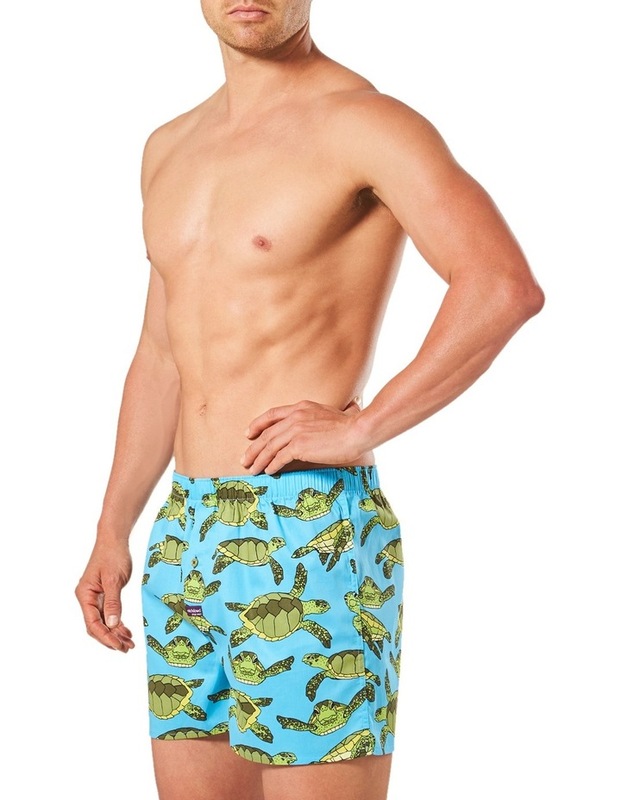 Lovingly crafted from 100% cotton twill these boxers are designed for style and comfort and feature a covered elastic waistband and single button fly opening. Every pair of our original range is designed by us, original garment designs by original people. The art of mitch is in your pants. 100% cotton twill all over printed design covered elastic wasitband, single button fly, colour: aqua sizes: s xxl. Warm gentle machine wash. Model wears size M. Style No. Q2070.